The Sherwood BET40 glasswasher with 400mm baskets, 18 pint capacity has a large 250mm usable height, it is designed with space saving in mind along with reliability and ease of use with a 2 minute wash cycle. 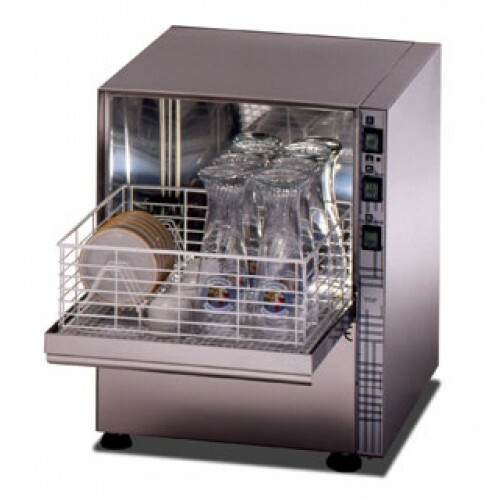 It is fitted with robust stainless steel wash and rinse arms and its double skinned cabinet & door reduces operational noise and reduces heat loss which saves energy & money. 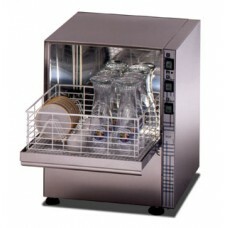 This machine has an internal detergent pump fitted as standard and an optional drain pump.